By admin | February 25, 2016. 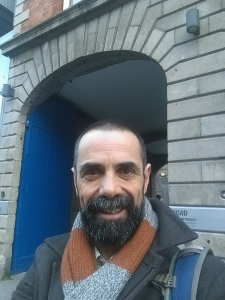 The National College of Art and Design (NCAD) has appointed a new acting director following the controversial retirement of Professor Declan McGonagle last year. Bernard Hanratty is set to become the college’s new acting director, after the position was vacated by Professor Declan McGonagle in December of last year amid concerns from students over mismanagement and miscommunication within the college. Hanratty will oversee the day-to-day running of the college, with particular emphasis on financial, organisational and governance issues. In a statement, NCAD said that Hanratty has the “personality to lead staff and students through the next phase of the college’s development”. “Mr Hanratty represents an innovative choice in an innovative institution. The board believes he has the personality to lead staff and students through the next phase of the college’s development,” the statement read. Hanratty is neither an artist nor an academic. He is a former managing director of investor services at Citigroup and will begin his position as acting director on March 1st. The appointment is expected to last nine months, at which time a permanent director will be sought. It’s hoped that a permanent director will be in place by 2017, with the acting post allowing for “adequate time to carefully consider this critical appointment”.